Perth Mint Has Run Out of 100 Ounce SILVER Bars for at least 6 Weeks!!! King World News has verified with the Perth Mint that they have run out of 100 ounce silver bars and they are not slated to be available again until the end of March. 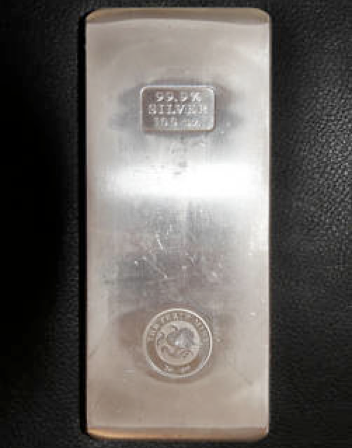 As of the close Thursday, 100 ounce silver bars were still unavailable at ScotiaMocatta as well. – US DEPARTMENT OF HOMELAND SECURITY HAS TOLD BANKS – IN WRITING – IT MAY INSPECT SAFE DEPOSIT BOXES WITHOUT WARRANT AND SIEZE ANY GOLD, SILVER, GUNS OR OTHER VALUABLES IT FINDS INSIDE THOSE BOXES!